- Assess industrial hygiene and occupational health programs using OSHA, NIOSH & ANSI criteria. - Evaluate hazardous materials and hazardous exposures, including chemicals, indoor air quality, ergonomics, microorganisms (including mold, fungi & bacteria), and noise hazards. - Evaluate air contaminants, including formaldehyde, xylene, glutaraldehyde, anesthetic gases, lead, cadmium, mold, indoor air quality, VOC's, solvents, particulates, and other materials. - Provide professional recommendations and consultations based upon existing and anticipated OSHA, NIOSH, ACGIH, NFPA, and ANSI standards. 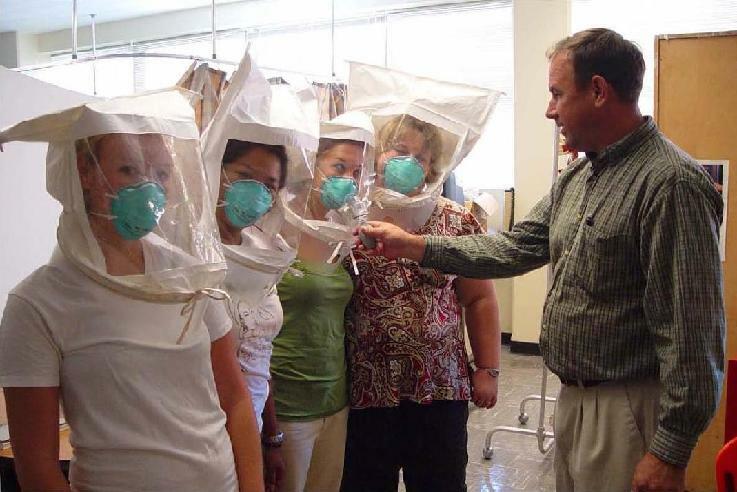 - N95 respirator fit testing & training (large scale & individually) as well as design, and review Respiratory Protection Programs for TB, H1N1, H5N1, SARS, & other hazardous substances.